What are the best oversized Folding Chairs For Heavy People who are in need of confidence, durability and reliability from a chair?. 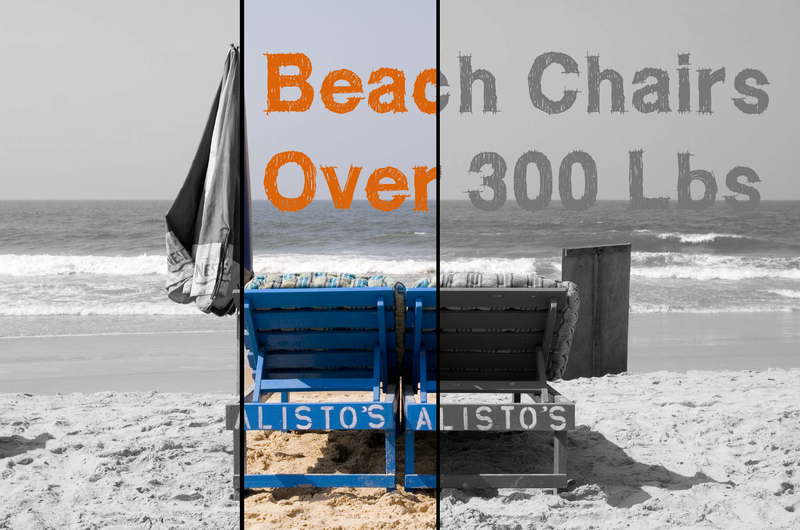 Keep reading to find out where to buy and read reviews for these extra wide folding chairs for big Men and Women in order of weight capacity relevance. A folding chair is one of my favorite accessories in my ‘Big Man’ suitcase. These chairs go everywhere with me. After a few accidents where I ended up on the floor from breaking under-sized guest chairs, I realized I needed a portable chair that can hold large weight limits. 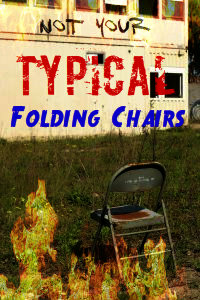 This is how I discovered these life changing folding chairs. That’s right,life saving!. Never again do I have to worry about “Am I too heavy for this chair” or “how sturdy is this chair”. Finding the right size folding chair to suit your weight will really make life a lot easier for us overweight people. These oversized heavy duty folding chairs are perfect for many events such as picnics, parties, social gatherings, seminars, around the house and lawn. Basically anywhere you need your ‘own’ special chair. Because they fold away so compact, it’s so easy to take your seat with you wherever you go. It’s important to note that if you want an exterior chair, it needs to be a folding chair suitable for outdoor use. 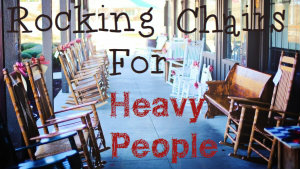 My number 1 recommendation folding and stacking chair for large people has a weight capacity limit of 440 pounds. What gives this seat the heavy duty status and our number 1 pick is the extra steel reinforcement bar underneath the seat. Such a simple idea, yet often over looked. This extra bar provides long term support and durability. Which is what we want when investing in a portable folding chair to handle the heavier weights. A bigger and wider seat then what you would typically expect. What my Wife particularly likes about these chairs are that they’re super easy to clean when dirty. No stains sink in like you may think. A bit of Windex and your good to go. What I do enjoy about this chair is it’s molded ergonomic seat design. It’s not completely flat like others which provides some comfort for essentially is a part time chair. The handle in the back rest is particularly ‘handy’ for transport. They pack up really easy and flat for perfect stacking. Folding Chairs For Obese People or for anyone looking for something really strong and durable. This lightweight stacking chair is provided by Flash Furniture. It’s part of the ‘Hercules’ range of products made for the big and tall persons. A simple and comfortable design perfect for temporary seating, schools, offices, conferences or just personal use. Available in black or white so they are pretty versatile for fitting in with your decor. The seat and back rest is made out of plastic and is contoured to give greater comfort. When sitting on flat surfaces they are rather stable and don’t wobble so much. The only potential negative feedback on these chairs could be if you have long hair sometimes the hair can get caught on the backing. However this is rather common on these types of chairs. Overall I find the Hercules by Flash Furniture with a huge capacity of 800 Lbs to be a great value and very sturdy chair for bigger people. These types of chairs are fairly cheap in my opinion and I find it useful to buy in 4 packs if available. Especially if the color suits the decor of your home or office. If your a tad overweight and need something portable and comfortable. Then this folding chair is an option you could explore. These cushioned water resistant fabric chairs are a little more expensive, however they are truly worth it for comfort. Especially if you plan on sitting on then them for extended periods. The padding on this chair is a nice 2 inches thick to really give you the comfortable portable folding chair. Possibly one of the well padded chairs in this market. This extra padding allows for extended sitting periods without feeling as much discomfort. I find them perfect for the games room or card table as they are just the right height for a card table. This National Public Seating Folding Chair is rated to a 300 pound capacity. The heavy duty of this chair comes from it’s ‘y’ frame crossbar 18 gauge steel frame that’s riveted to the legs. This technique provides stability and support for the overweight person. I highly recommend this particular folding chair for anything that requires extra sitting time. Such as a guest chair for big people, or in the nursery when breast feeding, the card table, and so on. The Mity Lite Mesh One uses a rather interesting mesh material that can shape itself to match your body. Which means this folding chair is virtually for everyone within reason. This 1000 pound folding chair is made from Rip-Stop stain resistant mesh which they say is “commercial-grade elastomeric mesh”. That’s a bit above me, however what I do know is that I’m super impressed with this chair. It has amazing strength, you will be blown away by its appearance. Remember looks can deceive. So don’t under estimate this Mity Lite Mesh One. Besides its Solid Heavy Duty Label, it’s one heck of a comfortable folding chair. This is a nice unique folding chair that I’ve not seen before in this industry. No more putting up with hard wooden or plastic chairs ever again. The special mesh on this chair could give such amazing results in terms of comfort, style and durability. This mesh folding chair is so impressive that your just about guaranteed that someone will comment on it. Take it to the park or invite friends over for a party. This chair will turn heads, or get bottoms on chairs!. If you can afford to spend a little more on a luxury style folding chair, then do go for it. Not For Us Bigger Folk Tho! I am looking for a wooden folding chair with padded seat. I would like a min. of 500 lbs. I am interested in the white heavy duty folding chair. What is the price for this chair? Hi Cherie, you have to click on the given links to find out the price. Thanks for stopping by. Looking for a very portable seat chair that can be carried all around, to hold a 300+ person! Love the strength of some of these, but they all look skinny. Some of my guests take two airplane seats; these chair might support the weight but my guests would feel miserably squished. Got any wide “oversized” chairs? Thanks! Hi Marcel, what type of chairs are you looking for. Indoors/outdoors?. You could try a bench like chair. This one found on amazon here has a 500 lbs capacity and is 48 inches wide. Or you could try a wide directors chair found here with a width of 28 inches. I seek indoor chairs to put around card tables indoors for meal time. For my lightweight guests we use these: https://www.amazon.com/Winsome-Wood-Folding-Chairs-Natural/dp/B004XYNE52 . The bench chair looks comfortable – and safe! – but way too low to sit at a table. The Flash and NPS chairs you’ve highlighted in the original article look good but too skinny. Thanks for any more suggestions! My wife and I are very big people we are both 600lbs plus and when we go to friends or families homes we do not dare sit on their furniture. In the past we have broken couches, dinning room chairs and wing chair. It’s gotten to the point where we very rarely leave our homes except for work. I am really interested in finding a couple of good sturdy folding chairs so that we can once again go out and enjoy ourselves without fear of embarrassment or injury. Ideally the chair would need to be very wide as well as strong. Maybe two or more can be fastened together to make a wider seat. I feel your pain Jim, it’s so embarrassing when you do break a chair or when everyone constantly asks you to take a seat. But you know their chairs are not going to survive the day. Have you considered a folding directors chair. 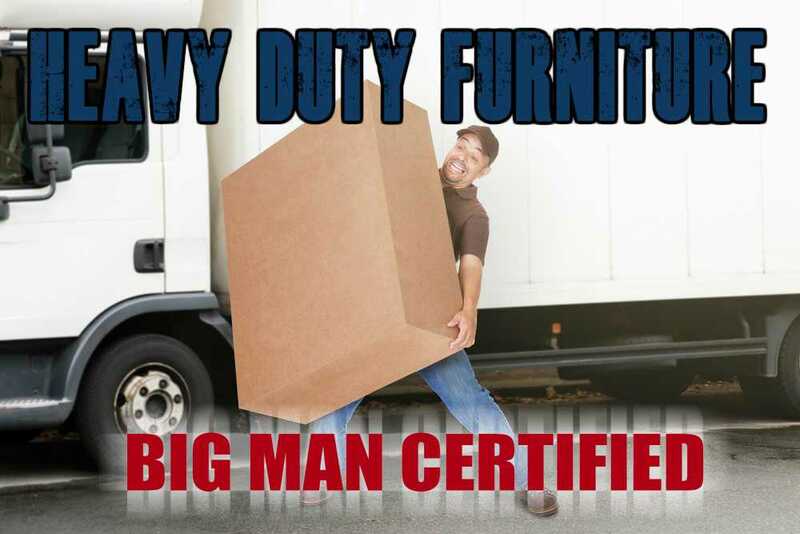 The Big Boy has a 600lb capacity and is 28 inches wide. You can read more about it here.